Former foreign secretary and London mayor Boris Johnson has indicated he would support the British prime minister’s Brexit deal if she is able to win fresh concessions on a so-called “freedom clause” from the European Union. Johnson, for a time the de facto leader of Britain’s small number of Brexit-supporting Tory Members of Parliament, has made much political capital since he quit the government in July by attacking the Prime Minister’s “worst deal in history” Brexit plan, but now says he could support her if she could change just a few words in the proposed agreement with Brussels. Brexit-supporting politicians could throw their weight behind the Prime Minister, he said, if she was able to persuade the European Union to include a sunset clause in its Northern Ireland backstop provision, meaning the United Kingdom wouldn’t be stuck in perpetual union with the bloc despite officially leaving it in March 2019. Indeed, the Tory heavyweight even stated it was his understanding that the Prime Minister was now working to achieve that goal. I have heard it from the lips of very senior sources in government – speaking with the authority, it is claimed, of the Prime Minister herself – that this country is about to seek proper binding legal change to the current lamentable withdrawal agreement. The PM wants to get rid of the backstop; that is, she wants to change the text so as to insert either a sunset clause or a mechanism for the UK to escape without reference to the EU. She is going to fight for a Freedom Clause – right there in article 185 of the protocol or thereabouts – that would finally give us the keys to our own future. ..if the PM secures that change – a proper UK-sized perforation in the fabric of the backstop itself – I have no doubt that she will have the whole country full-throatedly behind her. Brexiteers have repeatedly warned the so-called backstop is a trap laid out for the United Kingdom by the European Union, and alluding to this Johnson said if the changes could be achieved it would “defuse the booby trap” and give Britain a “way out” of vassal status. Happy words from the former rebel aside, it is not clear how the Prime Minister will achieve any changes to her agreement, as all attempts at renegotiation to this point have been met by a flat refusal by leading Eurocrats. Speaking out shortly after Johnson’s comments, the Irish deputy prime minister was quickly on hand to pour cold water on the claims, making clear there would be no change to the deal. Irish govt politicians today and yesterday (Coveney, Richmond) clear they will not budge on the backstop. Doesn’t mean they won’t when the crunch comes, but they are impressively clear and united. 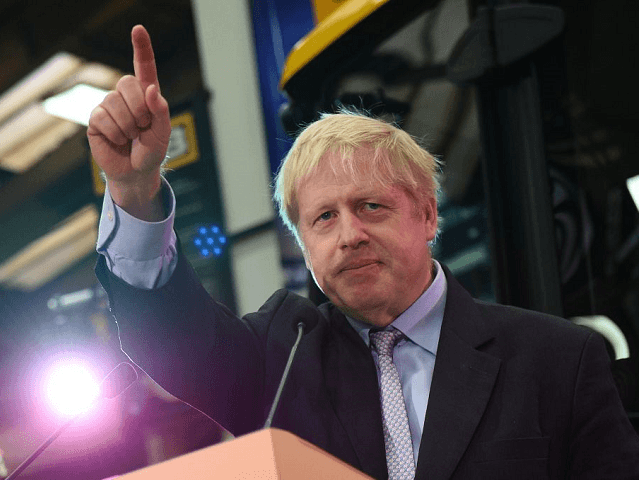 The Prime Minister and her government have not yet either confirmed or denied Johnson’s claims about a potential push to renegotiate. The message of support comes just a day before Britain’s parliament is due to open another marathon session of debate to discuss and vote on amendments tabled by members on the Brexit process, with remain supporting parliamentarians hoping to delay the Brexit process and prevent a No Deal Brexit by default.